Build your personal library with discounted used books and DVDs on a variety of topics! This is the largest fundraising event for the Friends of the Mulvane Public Library. The Friends support the library by raising money for materials that promote early literacy and enhance library spaces as well as patron experiences. These include toys, upkeep for our fish tank, and the flowers outside. The Friends are excited to do all these things for our community, and more! 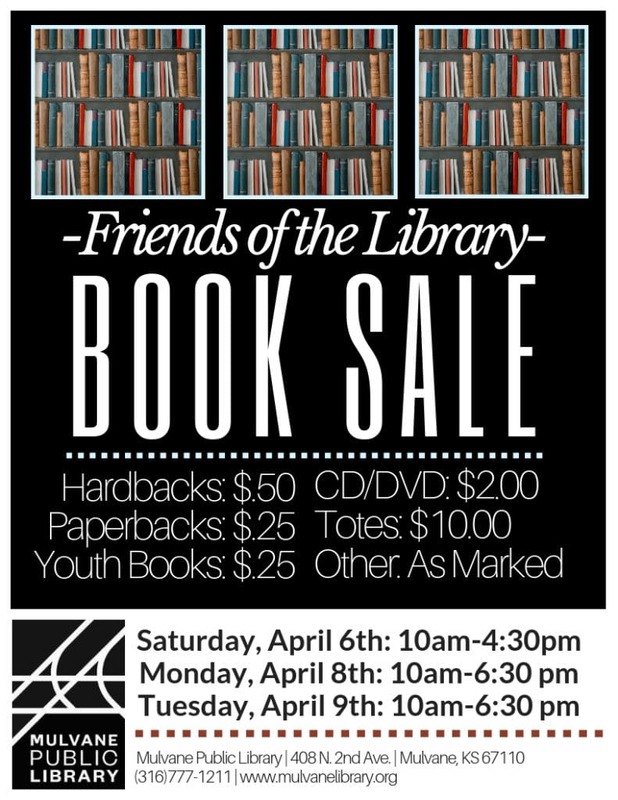 We hope you can come out and support the Friends by purchasing books!